Who has heard about KTX? Korea Train eXpress (KTX) is South Korea’s high-speed rail system, operated by Korail. KTX operates from Incheon International Airport with stops at Seoul Station and Yongsan Station towards Busan and Gwangju. A new terminal in Seoul’s Gangnam District is under construction at Suseo Station which is scheduled to open in 2016 along with intermediate stations in New Dongtan City and Seoul Subway Line 1’s Jije Station in Pyeongtaek. 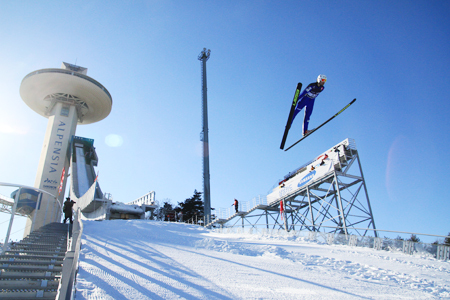 A new line from Wonju to Gangneung is under construction to serve the 2018 Winter Olympics in Pyeongchang. Starting from 2017, we will be able to travel to Gangwon with KTX train from Incheon International Airport or Seoul area. How long will it take? Only 86 minutes from the airport to Olympic site! It only takes 10 minutes from Jinbu Station to Gangneung station (last stop) by KTX. Gangneung coastal cluster is for indoor games as ice skating, culring, speed skating and ice hockey! 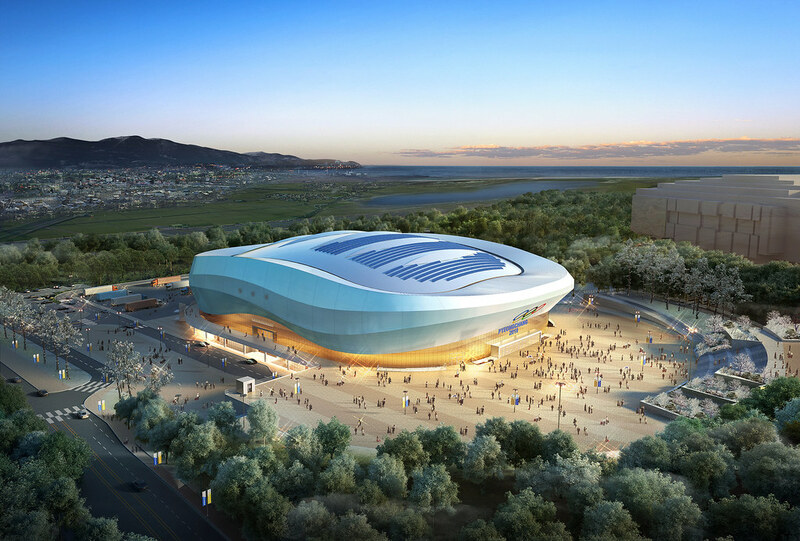 Gangneung Ice Arena, Gangneung Oval, Gangneung Hockey Centre and other stadiums are about to be open to public soon and test events will be held over here in 16/17 Winter season. What are the tourist spots in Gangneung? Click the link below. Excited? Let’s see what other transportation infrastructures are in Gangwon! Yangyang International Airport is the only international airport in the Yeongdong (Northern and Eastern part) region. The airport excellently serves as the arrival point for tourists to Korea’s representative attractions of Gangwon, Seoraksan Mountain and Donghae. The airport provides much information in regards to tourism in the Yeongdong region in addition to offering a tourism transportation service. Domestic flight for Yangyang-Jeju and Yangyang-Busan via Korea Express Air is operating every day except for Wednesday. 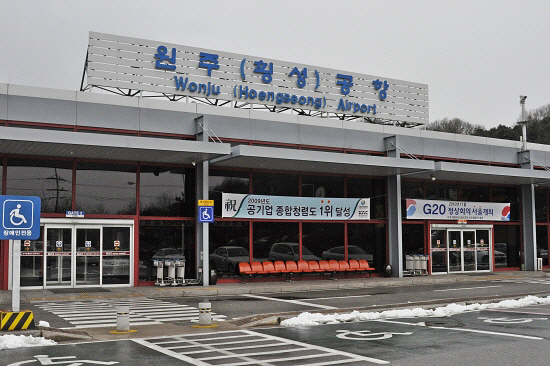 Wonju Airport operates a Wonju-Jeju line only. 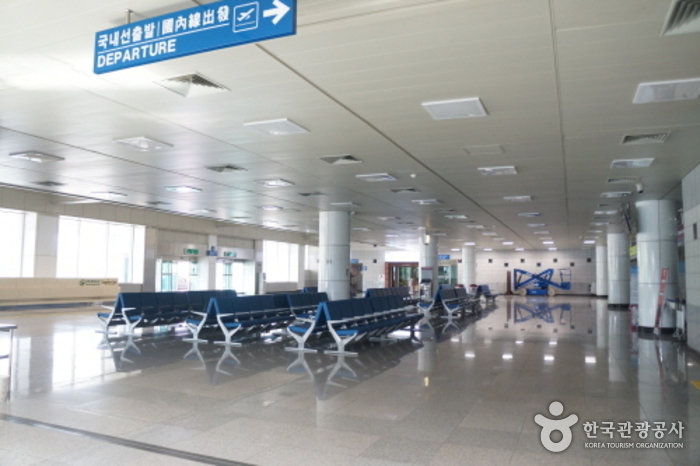 Different from other airports, Wonju Airport’s passenger terminal is located 1.5km away from the airport runway, which means after check-in, passengers need to take an airport shuttle (about 20 minutes) to board their flight. Wonju Airport provides transportation information (available in English) at an airport information center open during airline operation hours. The ferry “Eastern Dream” was built in 1993 and is operated by DBS Cruise Ferry, Seoul. It started its operation in June 2009, and makes a trip between Sakaiminato (Japan), Donghae (Korea) and Vladivostok (Russia) once a week. Between Sakaiminato (Japan) and Donghae (Korea) it operates twice a week. Travel smart to Gangwon and say Hello!2018PyeongChang 🙂 Happy holiday!